The decomposition of leaf litter is controlled by several factors. One factor that may play an important role is the content of condensed tannins (proanthocyanidins). Here we designed a combined method to isolate proanthocyanidins from leaf extracts, to convert them to anthocyanidins, and to quantify individual anthocyanidins exactly with a new, simple, but sensitive high-performance liquid chromatography method. 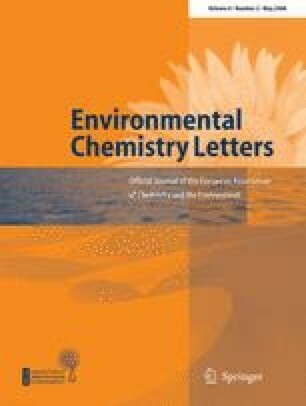 We used this method to show composition of proanthocyanidins and to monitor degradation of proanthocyanidins and individual constituents in leaf litter in an aquatic environment over time. Despite the rapid decrease in the initial concentrations, a fraction of the proanthocyanidins remained detectable for several weeks. This study is a result of WW-DECOEX, a worldwide comparison experiment on aquatic leaf litter decomposition. We thank Guillermo Rueda-Delgado (UTADEO, Colombia), Mercedes Marchese (INALI, Santa Fé, Argentina), and Catherine Yule (Monash University, Kuala Lumpur, Malaysia) for contributing leaf samples from their research sites. This study received financial support by the Deutsche Forschungs-gemeinschaft (DFG WA 1612/2-1). Publication No. 3 of the WW-DECOEX project. We dedicate this paper to the memory of the late Rainer Suetfeld.